Low Voltage Earthing Kits from PBwel can be made to suit most applications and specific requirements. Single phase, 3-phase 3, 4 or 5 wire assemblies. 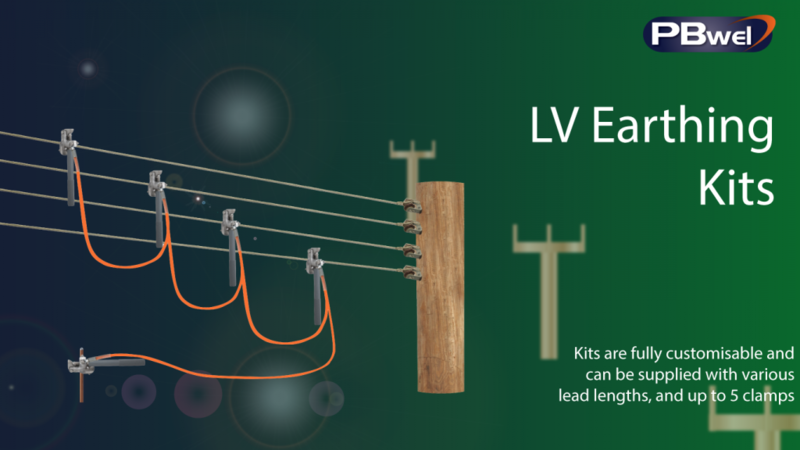 The Low Voltage Earthing Kits employ S9B conductor clamps fitted with pvc operating handles for overhead conductor sizes from 3.0 to 27.0mm diameter. Single phase, 3-phase 3, 4 or 5 wire assemblies can be assembled using the appropriate number of clamps and interconnecting leads, to provide portable shorting kits. The cable sheath is available in clear pvc or opaque orange Arctic grade PVC to protect the cable from corrosion or damage. Each interconnecting lead is fitted with compression terminations, having PVC sleeves over the terminations and cable to provide mechanical support. The length of the interconnecting lead is usually 1.5m, but any length can be provided to suit a particular application. PVC Carrying bags are available to accommodate complete assemblies. The S9B line end clamp is tested to 17.5kA for 2 seconds, although the short circuit withstand level of the complete assembly is dependent on the size of the interconnecting lead used. Typically, a 50mm2 lead will withstand 8kA for 1 second.